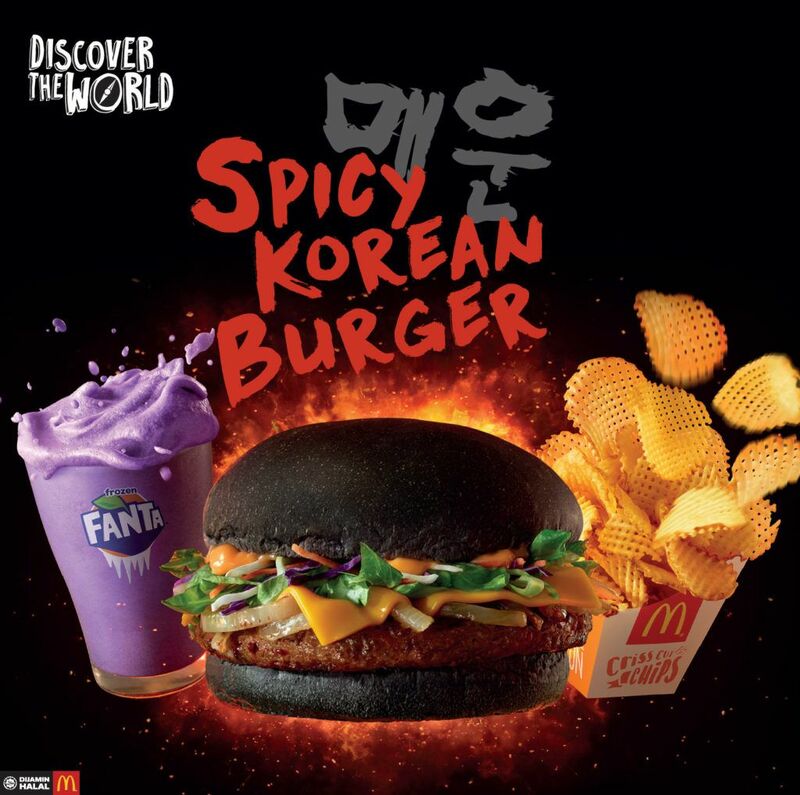 Black buns are back on a McDonald’s menu in the Far East – this time on the Spicy Korean Burger. Website, vkeong was lucky enough to try it on day of release and you can see their review and pictures of the actual burger here. 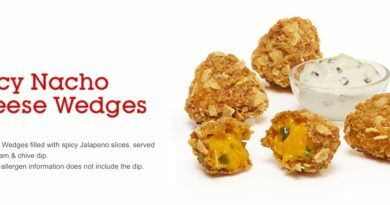 For now, UK-based McDonald’s fans will have to make do with the promo image and wonder if we could ever see anything like this in the UK. 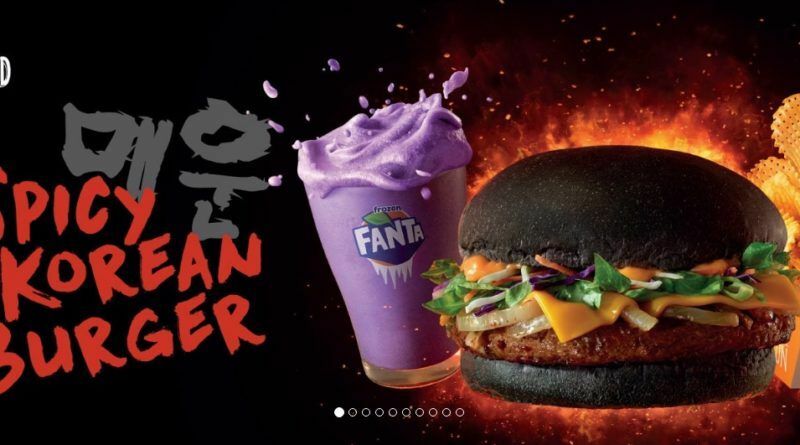 The Spicy Korean Burger is part of the Discover the World promo (cough Great Tastes of the World) and runs alongside Criss Cut Chips aka Fries and Frozen Fanta for the “ultimate satisfaction”. 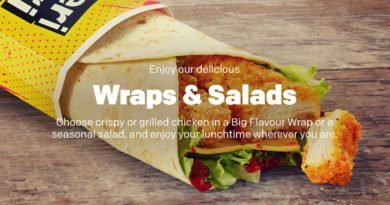 Would you like to see something similar to this in the UK? 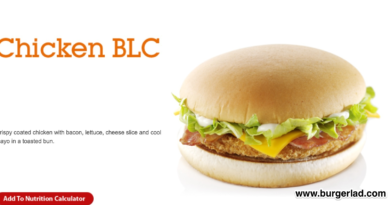 Would this be a good fit for a more adventurous Great Tastes of the World LTO?